Lorraine M. Hobbs joins us to speak about her experiences teaching mindfulness to teens and young adults. Something new teachers of mindfulness encounter is that it’s one of the most rewarding activities they can do, and it’s also not as easy as it may seem. In addition to having a personal practice spanning decades, good teachers also spend years learning the nuances of mindfulness and presenting it to others. This can be even more complicated when the audience has particular needs, as when teaching mindfulness to younger people. 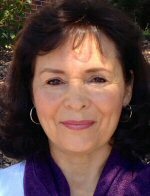 Lorraine M. Hobbs is the Director of the Youth and Family Programs at the University of California San Diego Center for Mindfulness. During her tenure at the Center, she has developed and implemented curricula in mindfulness for multiple age groups and a course in Mindful & Compassionate Parenting. She is certified to teach MBSR (Mindfulness Based-Stress Reduction), MSC (Mindful Self-Compassion), and CCARE (Compassion Cultivation, Altruism, Research & Education). Lorraine is co-director of the Mindfulness for Adolescents Certification Program. She also consults with educators on integrating mindfulness and compassion-based programs in schools and offers workshops & public talks in the community.